Recently refurbished terraced house.The property briefly comprises of a new fully fitted kitchen with appliances and seperate utility room. Generous sized living room with feature fireplace. To the first floor there is a modern white bathroom suite with electric shower one double bedroom and one dingle. To the secThere ia a large third double bedroom to the second floor. The property is tastefully decorated throughout with neutral carpets. It has central heating and double glazing throughout . A stylish and contempery three bedroom property situated on this poular area of Lenton . The property briefly comprises of a hallway leading onto a modern fully fitted kitchen and utility room with all appliances. On the ground floor is a large spacious living room with patio doors leading to private enclosed rear garden. There is also a large second reception room and downstairs clock room with Wc. The first floor comprises of a master bedroom with with built in wardrobles . A further double bedroom and a good sized single bedroom. Luxury white bathroom suite with electric shower. The property has wooden flooring throughout and has been tastefully recently decorated in neutral colours throughout. 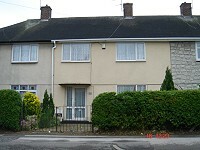 The property is unfurnished and benefits from private parking. 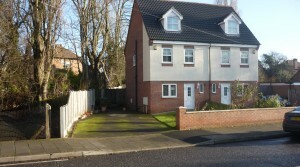 Superb location for the city centre and Qmc and the University.Well worth viewing ideal for a family or professionals . 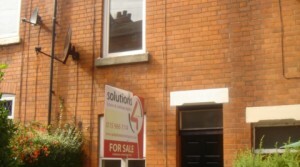 We are pleased offer this three bedroom property which has recently undergone a complete renervation. The property briefly comproses of hall way leading on to new modern fitted kitchen, with some appliances. There is a seperate utility area and downstairs WC . The property benefites from two reception rooms. To the first floor there are three good sized bedrooms two doubles and one single and a brand new white white bathroom suite with electric shower. The property is in excellent decorative order having recently been redecorated and has new carpets throughout and new flooring to the bathroom and kitchen. . It benefits from double glazing has gas central heating and also has an alarm fitted, private enclosed front and rear garden and off street parking. This property is available immediately and needs to be viewed to fully appreciate the accomodation on offer. We are unable to take housing benefit or pets with this property. Outstanding two bed appartment. The accomodation briefly comprises of, Hallway , Spacious living room. A modern fully fitted kitchen with all appliances including washer dryer. Modern white bathroom suite with bath and elecric shower. Two good sized double bedrooms the master bedroom with its own ensuite, The apartment also has its own private patio area off kitchen. 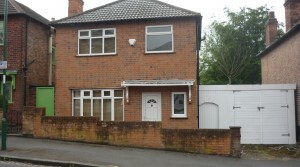 The property benefits from gas central heating and double glazing and finished to a very high standard. Available from September. 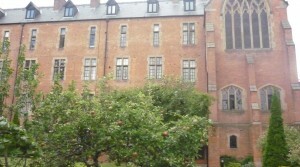 Fantastic two bedroom penthouse apartment in this beautiful grade 2 listed building. The accomodation briefly comprises of a hallway leading on to a large open plan living space with a fully fitted kitchen with all appliances including dish washer and washer dryer. Seperate dining / study area. 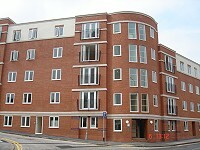 The apartment has two large double bedrooms the master with fitted wardrobes . A beautiful large luxury bathroom with large bath and seperate shower cubicle. The property benifits from gas central heating ,private parking and gardens. It is a very spacious apartment with lots of natural light. Superb quite city centre location with great views accross the city . Needs to be viewed to be fully appreciated.